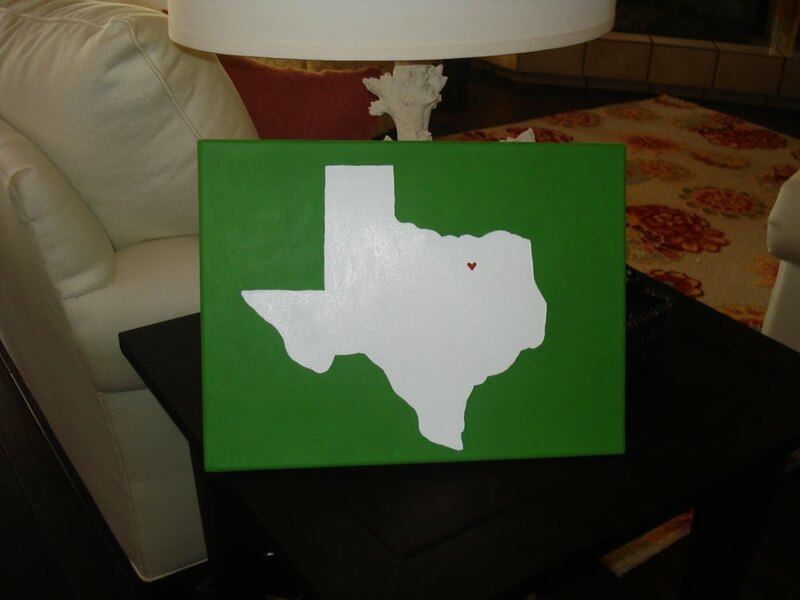 I spied this painting pinned on my sister-in-law's Pinterest page and thought it would make a sweet housewarming gift (she recently moved into her first post-college place!). I then realized that I could easily make something similar myself! I mixed a bright green (her accent color for her yellow room) for the background and changed the heart to red. 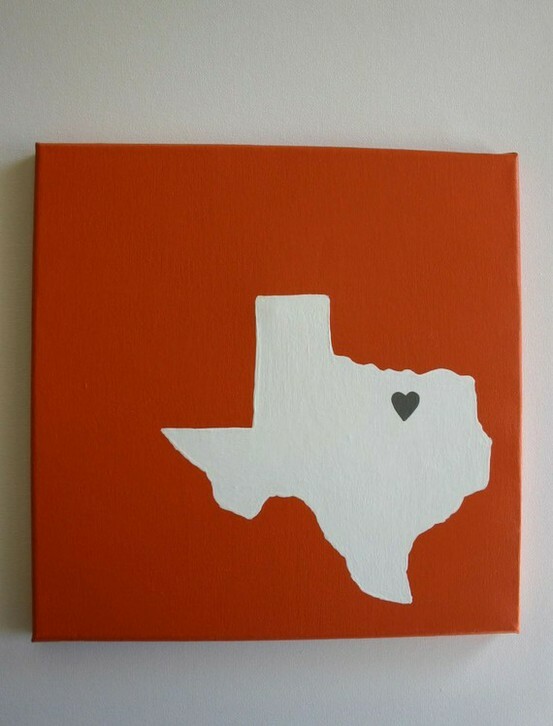 Here's hoping it brings a little Texas cheer to Boston! It most certainly brings Texas cheer to my room! I'm absolutely loving it and it went straight from the box to my wall! Thank you thank you thank you again - and now it has inspired me to get decorations on all the walls in this place - I'm off to Ikea!